This post is mostly done so you know what you're getting into with one of these super-cheap, $160, F-style instruments. While these can play alright after adjustments, I'd rather see someone put their money towards a better-made A-style instrument. It's all-ply throughout and has a clicky, brittle tone -- though the volume is decent and it cuts fair-enough, too. I have no idea what the original setup was like but I'm assuming it was pretty bad. 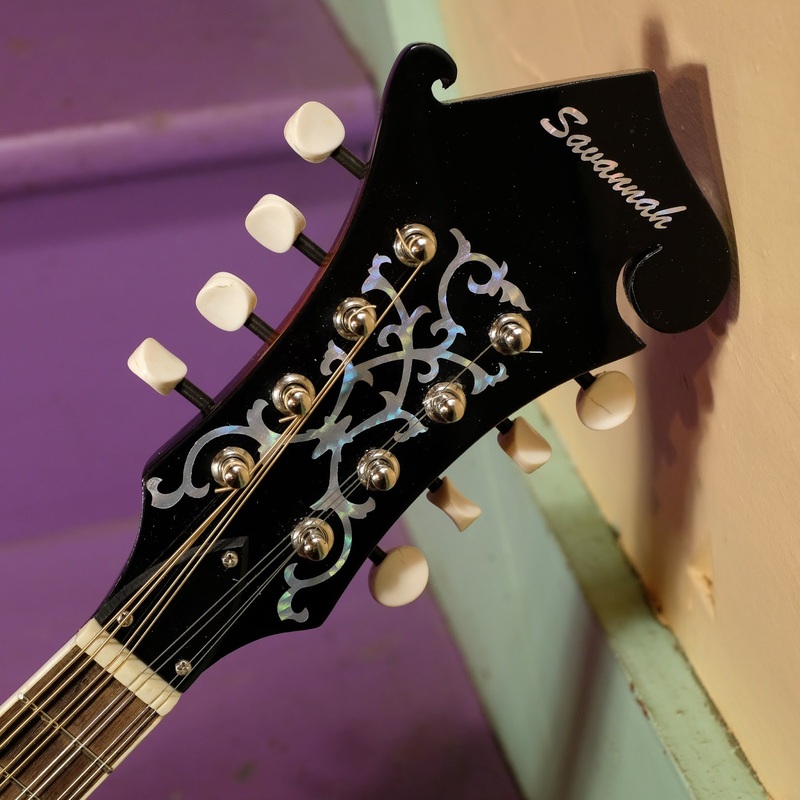 The neck is at least straight and its truss rod does work as intended. 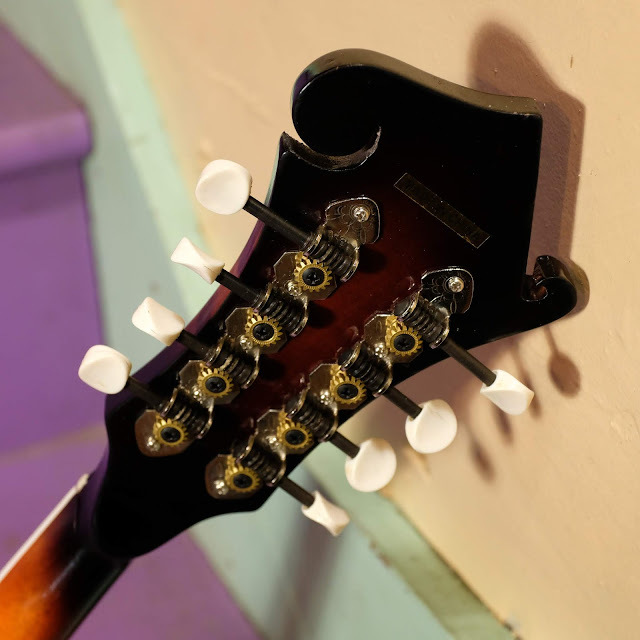 The heel has separated from the joint a bit, however, and so while the neck and fretboard extension are straight with one another, it meant that I had to shave the bridge a lot to get the action to spec -- a hair-under 1/16" at the 12th fret. The board has no radius and the back of the neck has a medium C-shape to it. 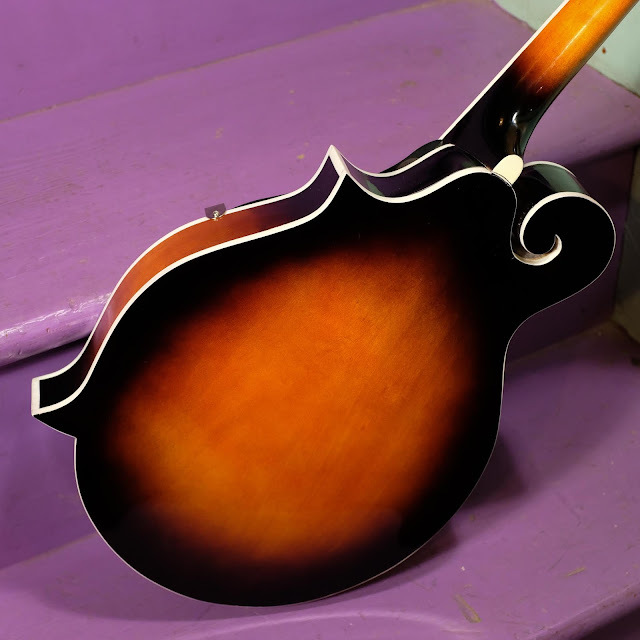 It's sized about the same as any other average F-style instrument and has the same, Gibson-style, 13 7/8" scale length. 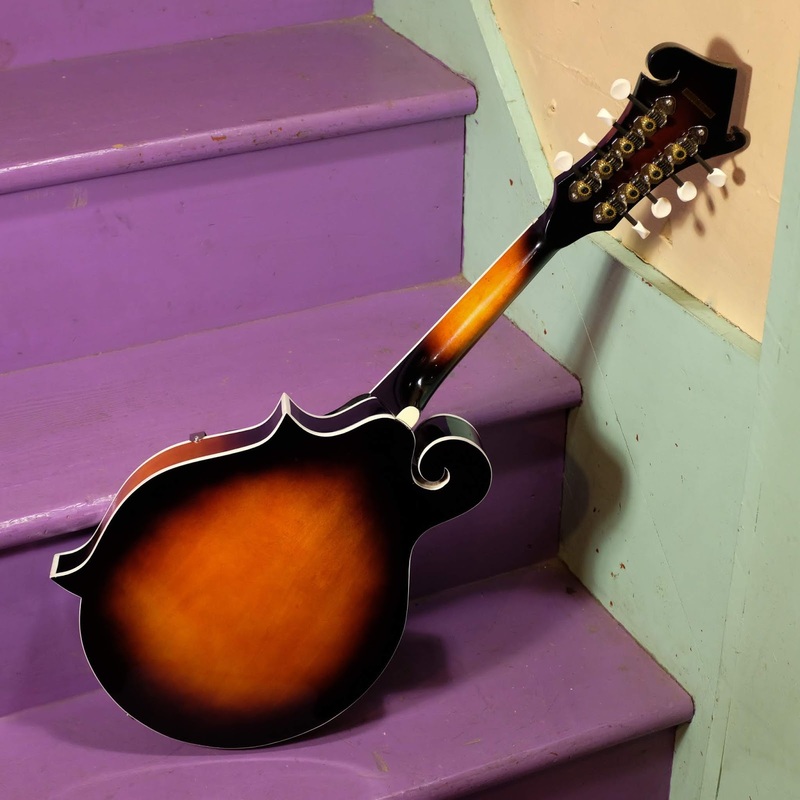 Does it make a good beginner's instrument? Maybe, if you have it serviced. 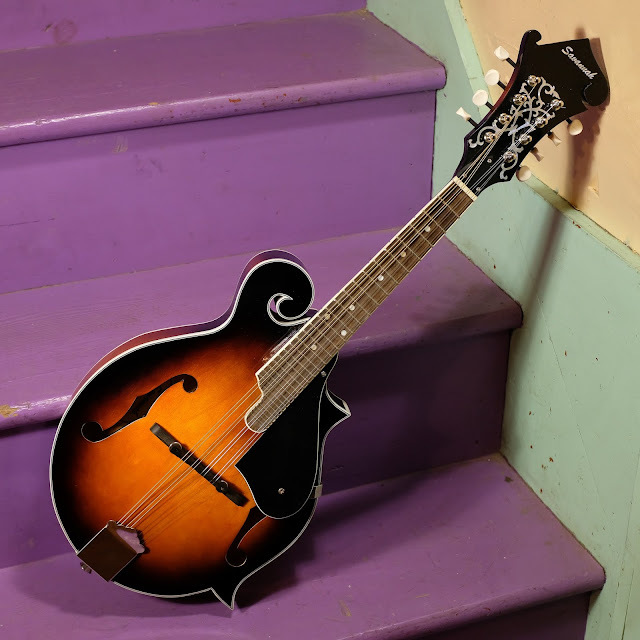 Would spending $50 get a superior instrument? Definitely. 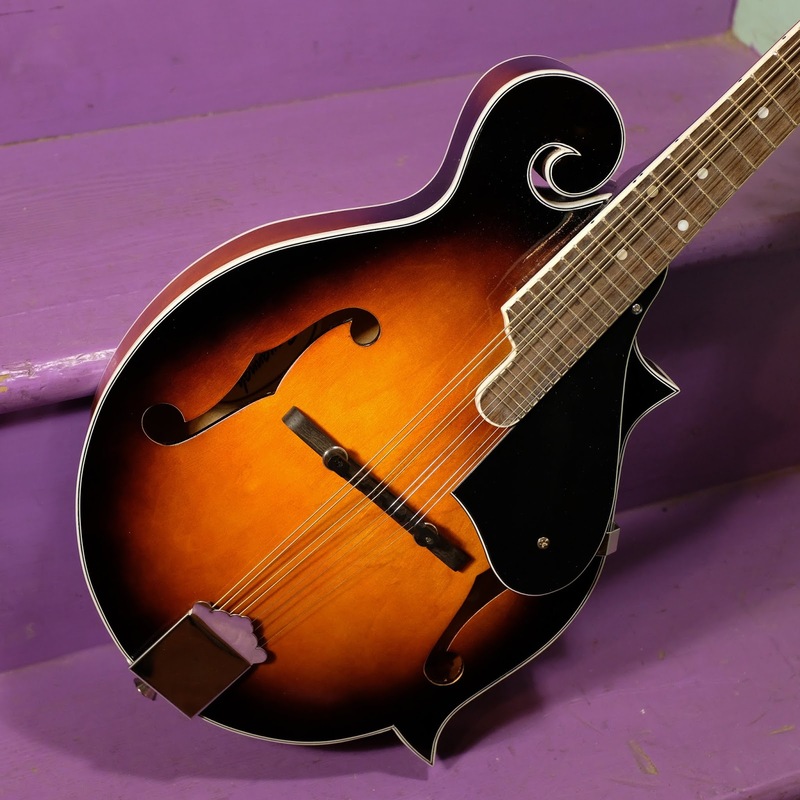 A Recording King "Dirty 30s" A-style mandolin clocks-in at $200 and is far superior in build and has a solid top. $100 more at $300 and you can pick-up a Loar F-style with a solid top. How do companies even make stuff that cheap? It hurts my head.